How much do you love your Apple mobile devices? Do you love them enough to make sure that you're only getting premium accessories to complement them? Do you care for them so much that you'd only use power chargers that are guaranteed safe? 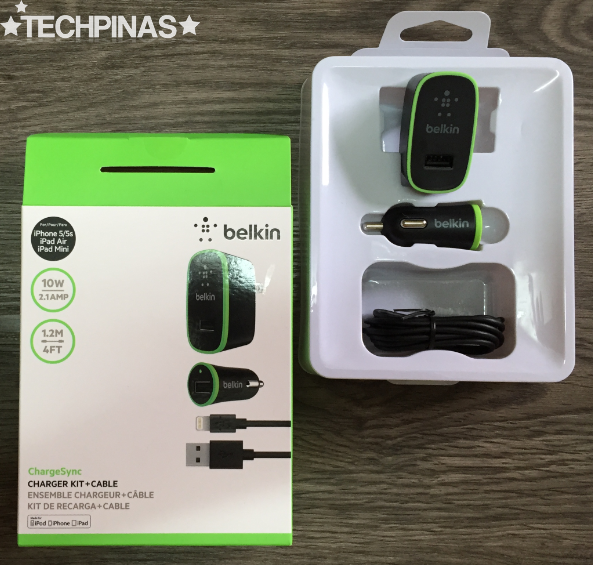 Well, I love all of my iPhones and iPads -- so last week I decided to get a Belkin Charger Kit for them. 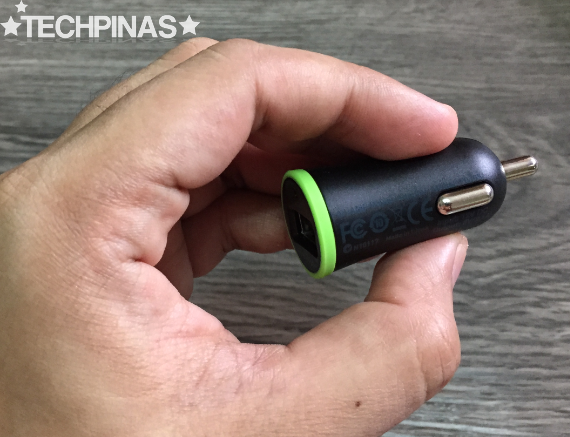 This pack, which sells for Php 2,450 at Lazada PH, includes a standard travel charger, a car charger, and an Apple-certified Lightning charge and sync cable. 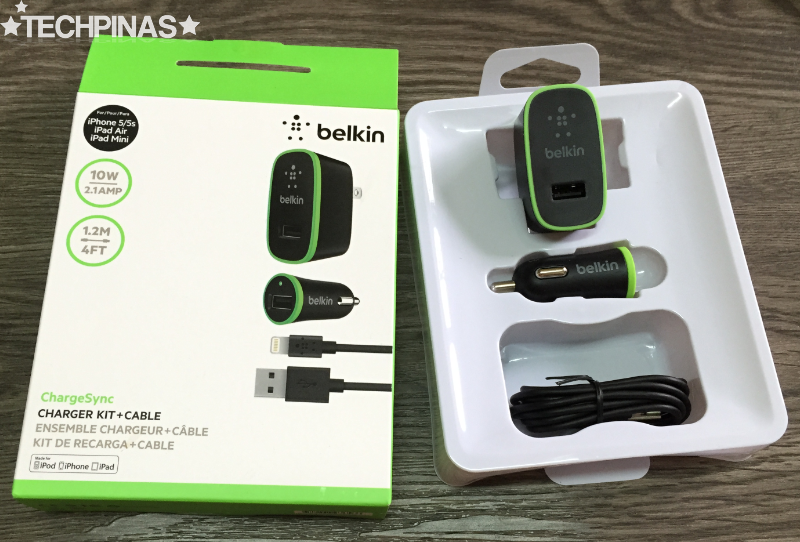 With headquarters in Los Angeles, California - USA, Belkin is one of the world's leading and most trusted makers of accessories for mobile devices. Since its birth in 1983, the brand has consistently released products that have become synonymous with reliability and safety. 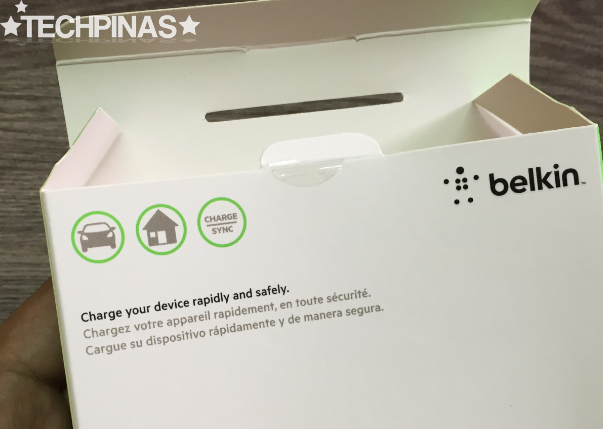 And recently, confident in the quality of their devices for charging, Belkin started offering a $2,500 USD (or roughly Php 120,000) connected equipment warranty (subject to terms and conditions) for the repair or replacement of connected equipment damaged from surges and spikes that occur when they are properly connected to certain surge protectors and uninterruptible power supplies. Sweet! For me, this is the main reason why I chose Belkin Charger Kit over others. It's hard to find an accessories maker that believes in their products this much. 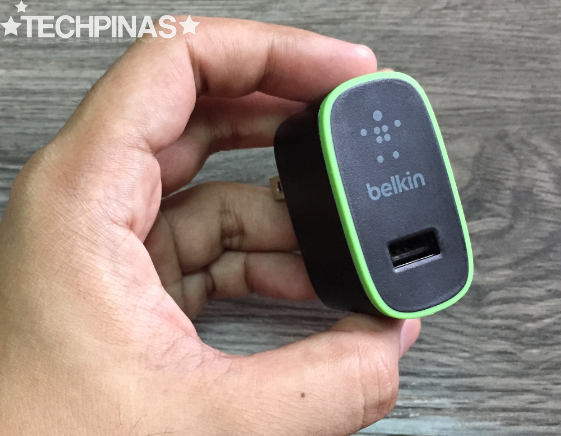 Here's how the original Belkin Home and Travel charger looks. It supports 2.1A output for fast charging. 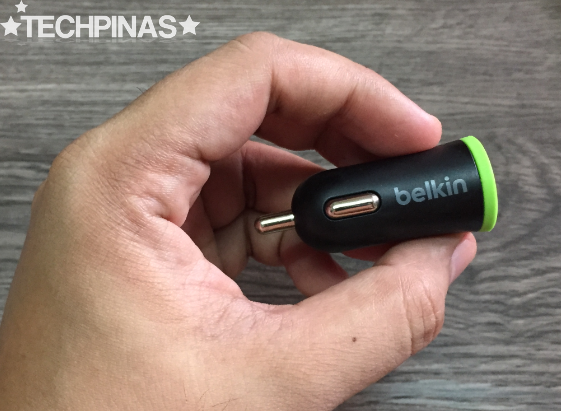 Like the Home Charger, Belkin's Car Charger has a chip inside that regulates and smooths out the flow of electricity when charging your device. According to our friends from Mac Power Corporation - the local online distribution partner of Belkin, that chip is particularly valuable when you consider the uneven electric surge that can come out of any car's cigarette lighter socket where you plug in your standard In-Car Charger. Again, Belkin's Lightning Cable is Apple-certified so you won't get that annoying 'not supported' notification when you connect it to your iPhone, iPod Touch, or iPad. 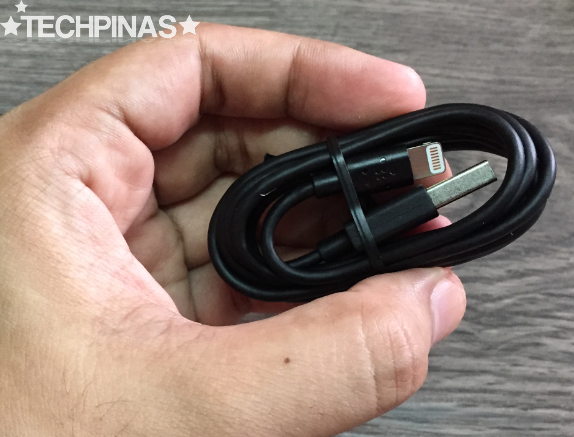 It's also slightly longer than Apple's own Php 1,800 Lighting cable, which I like. Only Buy Original! "When you buy a genuine Belkin product, you're also buying the peace of mind that comes with knowing that your purchase is backed by warranties. These warranties 'guarantee product quality and protect you if your product needs to be replaced,' while counterfeit and knock-off products do not," shared Belkin. 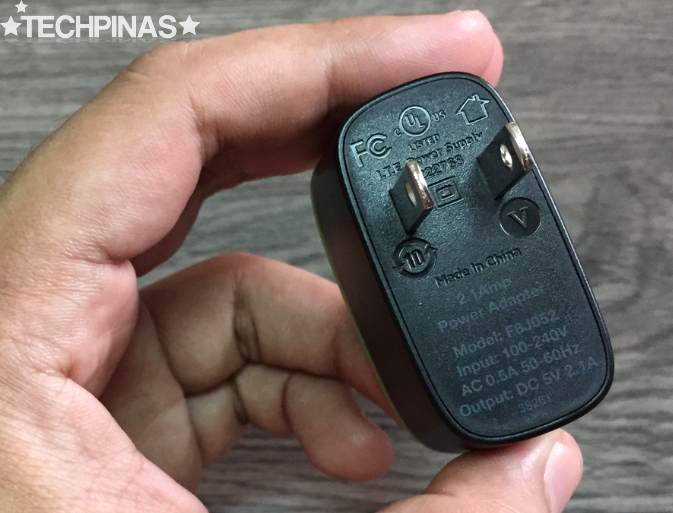 In the Philippines, one of the outlets where you can purchase 100% authentic Belkin products is Mac Power Corporation's online retail partner, Lazada Philippines.